This workbook takes the entire audio of each expert and transcribes and edits it so you can bring your new secret weapon with you wherever you go. Hear from your favorite developers like: Brad Borne, Tom Fulp, David Scott and Chris and Stephen Harris. Plus, everything in the entire workbook is interactive and clickable. From the expert's games to wikipedia articles, you no longer will find yourself googling consistently while reading. And, as a bonus, you'll also receive the complete audio of the event! Creator of The Fancy Pants Adventures. Currently trying to do some FPA awesomeness in the arcade download space with EA and Over the Top Games. Click here to buy the book and get the mp3 of Brad's talk about what makes a great flash game! Tom Fulp is the creator of Newgrounds.com and programmer behind games such as Alien Hominid, Dad 'n Me and Castle Crashers. Click here to buy the book and get the mp3 of Tom's talk about what makes a great flash game! Co-founder of Ninja Kiwi, developers of Bloons, Bloons TD, SAS: Zombie Assault, Boombot, Meeblings and loads of other fun games. Click here to buy the book and get the mp3 of Chris's talk about what makes a great flash game! Click here to buy the book and get the mp3 of Stephen's talk about what makes a great flash game! Chris Benjaminsen is the co-founder of Player.IO, a fast growing technology platform for games developers. Chris is also the co-founder of Nonoba.com, a gaming community where Flash developers and casual game players come together on the web to chat, relax and play innovative single and multiplayer games. Prior to forming Nonoba.com and Player.IO, Chris was CEO and co-founder of BeIT, a development consultancy and production house specializing in online communities and multiplayer games. Chris and his team were responsible for developing creative IT solutions for many large clients including ViaSat, MARS, and Skype. Produced more than 30 console games including Bomberman Live, Major League Baseball, Amped 3, and Duke Nukem. Created, licensed and launched more than 800 Flash games as Director of Content for AdditingGames. Currently Executive Vice President at Zattikka Ltd. - creating games for web, mobile, and social platforms. Click here to buy the book and get the mp3 of Joel's talk about what makes a great flash game! Terry develops flash games with a high amount of depth and complexity not often seen in games of this nature, which contributes to very positive reactions from the playerbase. It's his goal to simply produce the best quality gameplay a web-based game can. Click here to buy the book and get the mp3 of Terry's talk about what makes a great flash game! Metanet Software was founded in 2001 by Raigan Burns and Mare Sheppard. Metanet is a indie game development company devoted to creating fun, innovative, unique games. Click here to buy the book and get the mp3 of Raigan's talk about what makes a great flash game! Chris Condon (Con Artist) creator of the Last Stand and Warfare series of games. Developer of Flash games since 2003, John has published over 60 titles including Achievement Unlocked, Hedgehog Launch, Exit Path, and most recently Corporation Inc. He heads up game development at Armor Games in Irvine, CA, and loves photography and running in his spare time." Click here to buy the book and get the mp3 of John's talk about what makes a great flash game! Chris Hughes is Co-Founder of FlashGameLicense.com and GamerSafe.com. He loves helping developers make money. He is a horrible musician. I started out in the Games industry in 1987. I led, designed and programmed many hit titles for Electronic Arts and they collectively sold 20 million copies +. Games include Battlefield, Bond series, Dungeon Keeper, Godfather, Magic Carpet and Syndicate. Since 2005 I have been writing free games for the online casual gaming market. Games include the Shadez series, Boxhead series, wOne and more. Click here to buy the book and get the mp3 of Sean's talk about what makes a great flash game! Indie Game Developer by night, Technical Director at Aardman Animations by day. Flixel fiend, Atari otaku, Retro gaming geek, child of the 80s, biscuit muncher and responsible for Cat Astro Phi, Quartet, Droplet, Kyobi and various other flash game shaped creations." Click here to buy the book and get the mp3 of Richard's talk about what makes a great flash game! I work as part of Dissolute Productions producing flash games such as Dynasty Street, Seven Deadly Sins, Chaos Faction 1 and 2, and Epsilon. Click here to buy the book and get the mp3 of George's talk about what makes a great flash game! Designer and Artist for Super Meat Boy, Gish, Time Fcuk, Spewer, Aether, Coil and many more. Click here to buy the book and get the mp3 of Edmund's talk about what makes a great flash game! CEO of Armor Games. He went to Biola University where he got a BS in Business and a Bible Minor. He's played games his entire life and a few of his favorites are Act Raiser, Ice Climber, Crono Trigger, Secret of Mana, FF3, anything Mario or Link related, and Halo 3. Click here to buy the book and get the mp3 of Daniel's talk about what makes a great flash game! David Scott is a founding member of KIXEYE and Executive Producer of the runaway hit game, Backyard Monsters. With over eight million installs since it’s release last year, Backyard Monsters is among the most successful real-time strategy games ever on the Facebook platform. Hailed as “a social game for gamers who hate social games,” Backyard Monsters pushes the boundaries of what people consider social gaming. Prior to KIXEYE, Scott designed games, websites and videos for corporations such as Warner Brothers, GlaxoSmithKline and Wrigley. Click here to buy the book and get the mp3 of David's talk about what makes a great flash game! Click here to buy the book and get the mp3 of Emanuele's talk about what makes a great flash game! Mark is founder and studio general manager of EA2D, a game development studio within Electronic Arts. EA2D is known for crafting blockbuster gaming experiences for a connected society. Before EA2D, he worked at BioWare / Pandemic and EMI Music Marketing. Click here to buy the book and get the mp3 of Mark's talk about what makes a great flash game! Tyler's involvement with games goes back to when he used to draw levels for Mario and Sonic on big sheets of paper and pretend to play through them in his mind, thinking, "Man I wish I was the one who designed these games, cause I have so many ideas". By 11 he had programmed (Flash 4) his first game (�Pigeon Pooper�) and has been practicing and evolving his skills ever since. Click here to buy the book and get the mp3 of Tyler's talk about what makes a great flash game! Jameson Hsu is CEO and co-founder of Mochi Media. Prior to founding Mochi Media, Jameson co-founded the award winning interactive design firm WDDG where he led partnerships with major brands such as Kraft, HP, Burger King and many more. Jameson has been focused on gaming and interactive advertising for over 10 years, working closely with Flash developers, industry leading artists, advertising agencies, and Fortune 500 clients to develop innovative marketing and communication solutions. Click here to buy the book and get the mp3 of Jameson's talk about what makes a great flash game! I run the Flash games team at Miniclip. I've always had an interest in games and love creating easily accessible, playable games. Click here to buy the book and get the mp3 of Niclas's talk about what makes a great flash game! We're brothers from the UK and have been making games for about 8 years now. Dim is the artist/animator and Tom is the programmer. We began our careers on Newgrounds, which has been the stepping stone to nearly everything we've done. These days we work for Armor Games. Click here to buy the book and get the mp3 of Tom and Dim's talk about what makes a great flash game! Jim is the co-founder and CEO of Kongregate, and is responsible for the company's vision of community around games, its focus on game developers, and most importantly its ability to identify and retain great talent. Jim is a regular committer to Kongregate's codebase, and developed many of the customer support and fraud screening tools. Before founding Kongregate, he was Technical Director for Pogo at EA and led the web and game engineering teams. He has worked in the game industry since 1991, when he went from summer intern to leading the game world design team on Ultima VII. Despite his boss Richard Garriott's advice, he finished his computer science degree at Princeton University before returning to the game industry. Click here to buy the book and get the mp3 of Jim's talk about what makes a great flash game! Rich is The Art Director of Pixeljam, Inc. They are known for games including Dino Run and Gamma Bros.
Click here to buy the book and get the mp3 of Rich's talk about what makes a great flash game! Dreaming of becoming a videogame developer since early childhood, Kris decided to study Computer Science and Games Technology. Worked at several games development companies including Altermyth Studios, Trippert Labs Inc., and Matahari Studios for a while before founding Toge Productions with Sudarmin Then in early 2009. Click here to buy the book and get the mp3 of Kris's talk about what makes a great flash game! Located in Budapest, Hungary, Game in a Bottle has a crew of 2 (husband and wife). So far we're best known for our dark fantasy tower defense series, GemCraft. Click here to buy the book and get the mp3 of Peter's talk about what makes a great flash game! Click here to buy the book and get the mp3 of Jon's talk about what makes a great flash game! Mat Annal is the Managing Director and co-founder of Nitrome Ltd, an award winning game studio based in London, UK. Nitrome is best known for hit titles: Toxic, Icebreaker, Final Ninja and the Skywire series. Click here to buy the book and get the mp3 of Matthew's talk about what makes a great flash game! Rob has worked in games of one sort or another for 15 years, firstly making playstation games, and in the last 5 years making flash games for corporate clients and and an indie developer. Click here to buy the book and get the mp3 of Rob's talk about what makes a great flash game! I am a Flash programmer, game designer, indie developer, and writer of awful songs and poetry. I have made many games, but am best known for creating FlashPunk, a free 2D game framework for making Flash games. Click here to buy the book and get the mp3 of Chevy-Ray's talk about what makes a great flash game! Click here to buy the book and get the mp3 of Krin's talk about what makes a great flash game! I like making games! Some of mine are Platform Racing, Neverending Light, and the Game of Disorientation. I am also the co-creator of Effing Hail and Effing Meteors. Click here to buy the book and get the mp3 of Jacob's talk about what makes a great flash game! Simon is Co-Founder of Berzerk Studio and the programmer behind the Lachhh engine that powers all Berzerk Studio games. Notable games include: GunBot and Swordless Ninja. Click here to buy the book and get the mp3 of Simon's talk about what makes a great flash game! I Work for Armor games. Notable games I've made include the IndestructoTank series, the Shift series, Upgrade Complete, and recently, K.O.L.M. Click here to buy the book and get the mp3 of Antony's talk about what makes a great flash game! 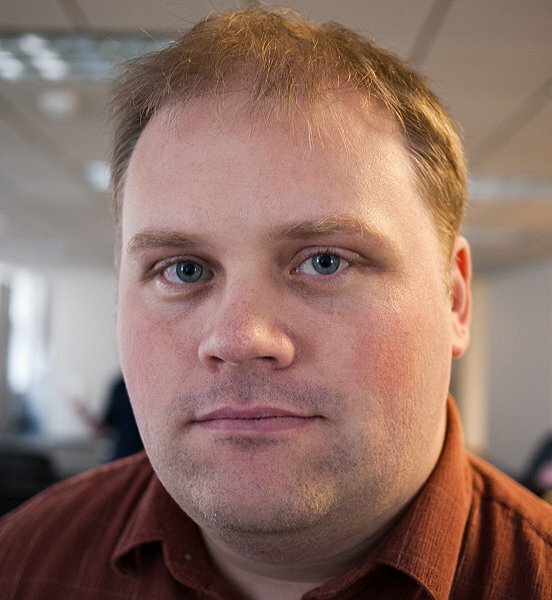 John Vechey co-founded PopCap Games with Brian Fiete and Jason Kapalka in 2000 and has been instrumental in driving nearly every aspect of the company's operations at one time or another. John served as PopCap's interim CEO until 2003, securing some of PopCap's largest partnerships with major Web portals and game publishers. He built PopCap's direct-to-consumer experience as Director of PopCap.com, overseeing all aspects of the company's Web site and online presence as well as helping establish PopCap's social games business, conceiving and launching Bejeweled Blitz on Facebook which went from zero to 25 million users in its first twelve months. Click here to buy the book and get the mp3 of Wimindra's talk about what makes a great flash game! I have been making games for 8 years now.I started on 'The Games Factory' then moved to flash. I studied in 3D animation. My most known games are Age of War and Neon Rider. I have been working for Armor Games for a year. Click here to buy the book and get the mp3 of Louis-Simon's talk about what makes a great flash game! As Games Director at Kongregate, Greg is the driving force behind all of Kongregate's badges and sponsorships, in addition to managing Kongregate's front-page content. He's an expert in achievement design in the Flash game sponsorship industry. 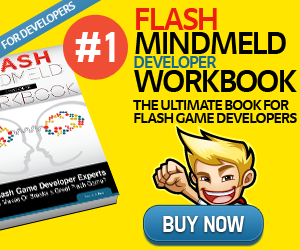 Click here to buy the book and get the mp3 of Greg's talk about what makes a great flash game! Click here to buy the book and get the mp3 of Andy's talk about what makes a great flash game! I'm the author of Fantastic Contraption, a game written in Flash that made me enough money that my wife and I can now travel the world writing games. We've spent the last year traveling in Europe and Central America. I hope to bring you a new game soon steeped in worldliness. Click here to buy the book and get the mp3 of Colin's talk about what makes a great flash game! Ben Olding is a UK flash game developer who has produced games including Crunchball 3000 and the Warlords series. Click here to buy the book and get the mp3 of Ben's talk about what makes a great flash game! Terry Paton is a passionate and driven flash game developer who over the last seven years has produced around 50 games for clients and he's just finished his 100th personal game. Eli has been a boring 20 year old for pretty much his whole life. He's made games for about five or six years now, and plans to keep doing so for as long as possible. Click here to buy the book and get the mp3 of Eli's talk about what makes a great flash game! Nathan is the developer of the hit Flash game, Gretel and and Hansel. Click here to buy the book and get the mp3 of Nathan's talk about what makes a great flash game! Creator of Bowmaster and Lostvectors.com. Flash Developer. Click here to buy the book and get the mp3 of Jason's talk about what makes a great flash game! Jared Riley is the founder of Hero Interactive, a Michigan, USA based Flash game studio that has grown to a team of 7. Together we have developed over 25 games including Bubble Tanks, StormWinds, LightSprites and more! Click here to buy the book and get the mp3 of Jared's talk about what makes a great flash game! Adam 'Atomic' Saltsman is the creator of Canabalt and the free Flash game framework Flixel." Click here to buy the book and get the mp3 of Adam's talk about what makes a great flash game! Click here to buy the book and get the mp3 of Mare's talk about what makes a great flash game! Designer and programmer. Creator of Monsters Den series, designer of Dragon Age Journeys project for EA2D. Click here to buy the book and get the mp3 of Dan's talk about what makes a great flash game! I am the founder of IndoCG also, the biggest online indonesian CG community. Click here to buy the book and get the mp3 of Rudy's talk about what makes a great flash game! Click here to buy the book and get the mp3 of Shawn's talk about what makes a great flash game! Miles is The Programmer of Pixeljam, Inc. They are known for games including Dino Run and Gamma Bros.
Click here to buy the book and get the mp3 of Miles's talk about what makes a great flash game! I'm the owner of OneMoreLevel.com and have been involved with Flash games for over 8 years as a developer, portal owner and fan. Click here to buy the book and get the mp3 of Ira's talk about what makes a great flash game! Jay is the founder of popular Flash game review site jayisgames.com. They review, discuss and recommend only the best Flash and Casual games available on the Web. Click here to buy the book and get the mp3 of Jay's talk about what makes a great flash game! Undergraduate Computer Science student who has been making Flash games for the past five years. Has interned at Armor Games Inc and is interning at EA2D in early 2010. Online alias: Coolio-Niato. AKA. Zeebarf, Jay is the co-founder of ClickShake Games and creator of the adventure games The Several Journeys of Reemus, A Small Favor and The Visitor, and the award winning animated TV series Sons of Butcher. I'm an amateur game developer from Minnesota who recently started working with flash, and even more recently with flixel, with my most successful games to date being endeavor and run.don't.stop. I enjoy playing games almost as much as I love making them. Click here to buy the book and get the mp3 of Alex's talk about what makes a great flash game! Farbs is an Australian game developer, who is known for ROM CHECK FAIL and the very popular Captain Forever series. Click here to buy the book and get the mp3 of Farbs's talk about what makes a great flash game!